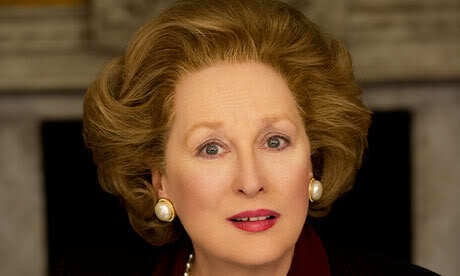 Meryl Streep’s, Margaret Thatcher is the perfect role model! Meryl Streep does it again playing the great Iron Lady, Margaret Thatcher as the irresistible prima donna of world politics down to a T. If anyone had any doubts about the Oscar winner pulling off the role of one of the most formidable women in politics, they should stop doubting right about now! The film also stars Jim Broadbent as her husband Denis, Olivia Coleman as her daughter Carol and Anthony Head as Geoffrey Howe. This entry was posted on Sunday, September 25th, 2011 at 9:58 am	and posted in Uncategorized. You can follow any responses to this entry through the RSS 2.0 feed.